Below is the list of Online and Offline Photography competitions that I have Juried. I look forward to judge more Photography Competitions. Jury Member for the Facebook Group "NEW COLOR" for "All genres of Photography". Jury Member for the Facebook Group "ARTOPHO" for "Minimalism and Black and White Street Photography". Photography Jury for Rajasthan State Level Photography Competition "Khushboo-e-Rajasthan". Photography Jury for St. Xaviers, Jaipur Photography Competition "PARALLAX 2015". Photography Jury for "Jaipur Art Festival Photography Competition 2014" held at Diggi Palace Jaipur. For @IgersJodhpur (Instagram) Photography competition. For @PhotoJaanic (Instagram) Minimalist Photography competition. 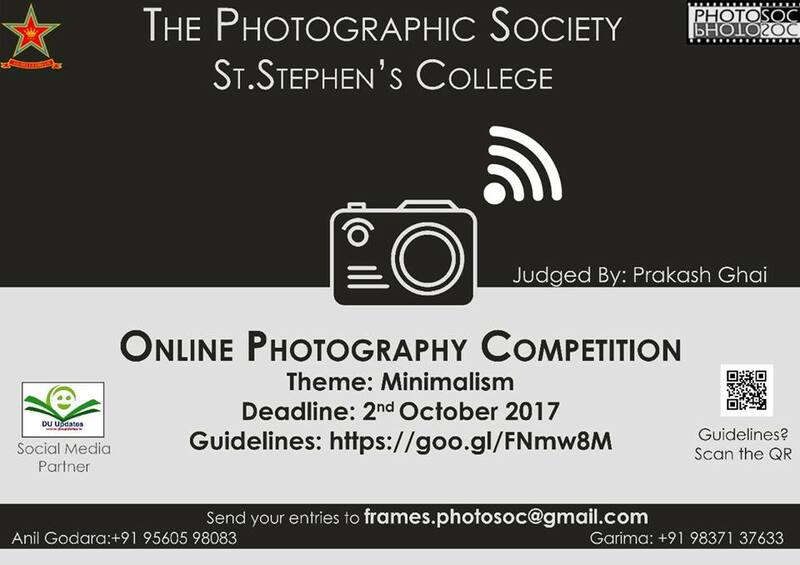 Permanent Photography Jury (and founder) for @LearnMinimalism (Instagram) - Daily/Weekly Minimalist Photography competition page. 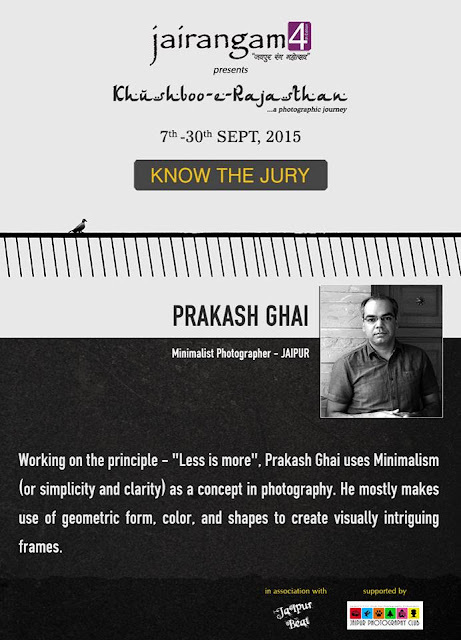 Arrange a workshop on Minimalist Photography in your city / for your community. Spreading Minimalist Photography Pan-India, is one of my goals. 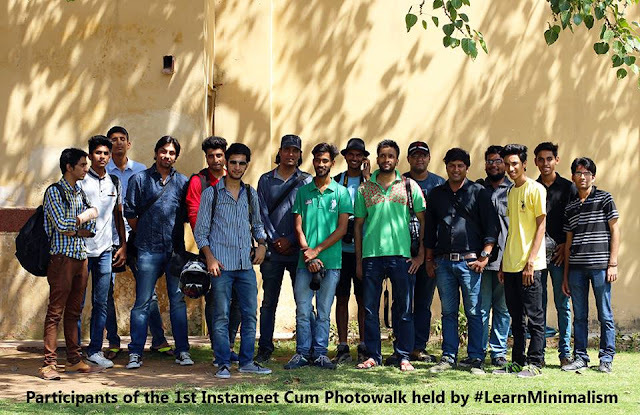 Arranging a Photo-walk in Jaipur or Elsewhere and Need Photo Mentors to guide the participants? Been a Photo Mentor in the past, for various Photo-walks and Photography meets held in Jaipur. Open on joining similar events in my city or elsewhere. Photographers/Designers can take inputs on Visual Art, to balance their overall frame/design. Bring along your previously shot photographs. Get them reviewed. Get tips on improving the composition. Designers can come along for a discussion on their future projects. 5) Enroll for a 3 hour 1 on 1 Photography grooming session. - and of course a Cup of Coffee.